A wedding dress that truly shows off your figure. The figure hugging fishtail gown has intricate lace motifs that have been handstitched on the chiffon overlay. 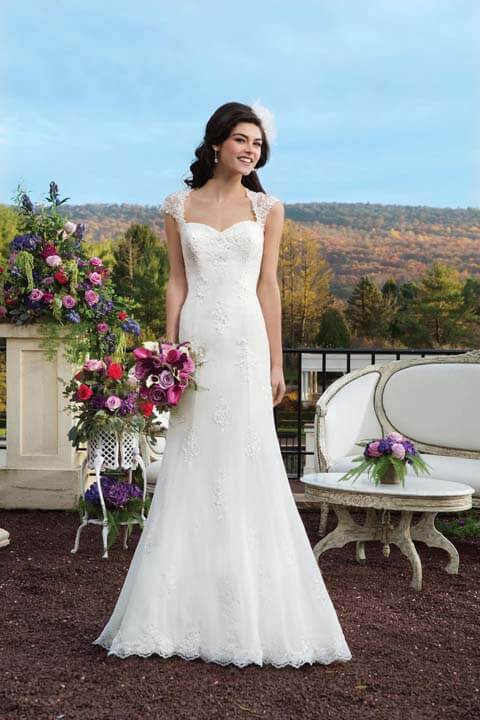 The lace straps lead round to an illusion back that is scattered with lace appliques finished with a button back from the top neck down to the bottom of the zip fastening.